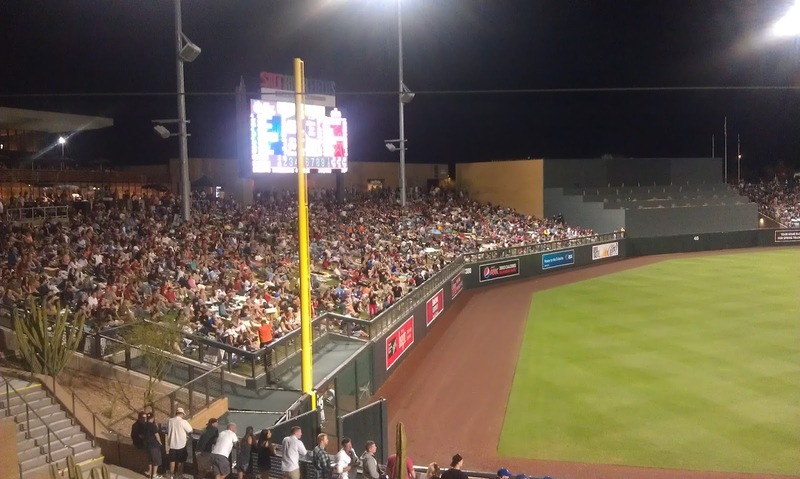 Spring training in Arizona is drawing to a close, and regular season is just around the corner! 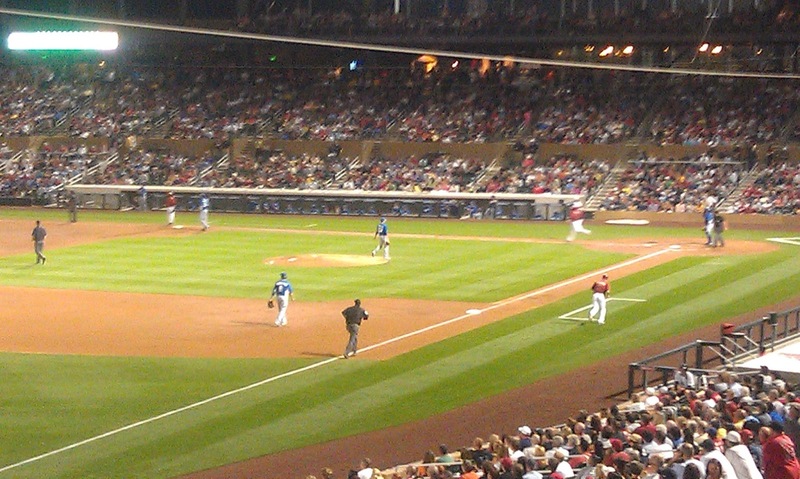 Today I’m taking a look back at the March 24 game between the Royal and the D-Backs, my first night game ever. 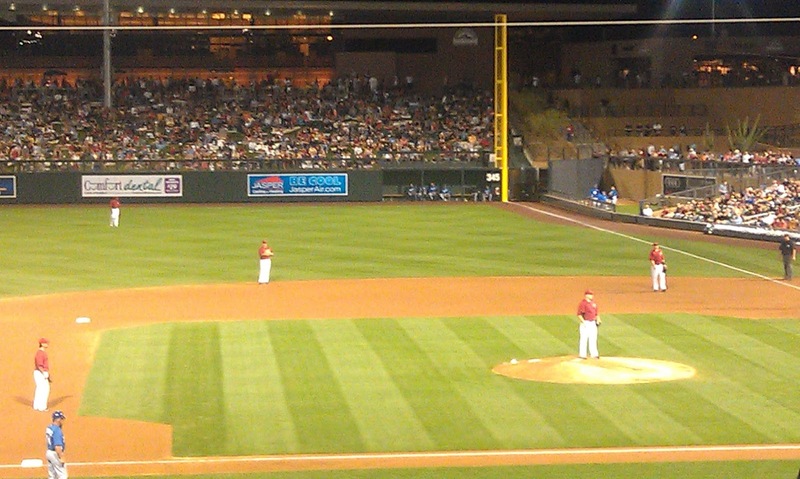 The atmosphere at Salt River Fields was completely different than the laid-back midweek games I am used to attending. Being spring break week in the Valley, the stadium was packed; I wouldn’t be surprised if it had record-setting attendance. It was a little tough to find a spot on the lawn. The only downside to going to games at this stadium was having to pay $5 to park, while some stadiums have free parking. However, this ballpark by far has the best food selection. Even the vendors on the lawn were offering chocolate-covered fruit kebabs and giant cookies, in addition to the standards of popcorn, lemonade, beer and peanuts.